During spring training, you will find Major League pitchers practicing their pitches, perfecting their technique, and strengthening their muscles to endure the grueling 162 game season. A new study published in Psychological Science, a journal of the Association for Psychological Science, suggests that hurlers might also consider the effect these sweltering months could have on their brains. The study, led by researchers from Duke University’s Fuqua School of Business, has found pitchers whose teammates get hit by a pitch are more likely to strike back and peg an opposing batter when the temperature reaches 90 degrees than on cooler days. But if no one has already been hit in the game, then high temperatures have little effect on a pitcher’s behavior. Major League statistics show there were 1,549 incidents of hit batters last season, an average of .64 hit-by-pitch incidents per game. Larrick said that it is not a necessarily a winning strategy to hit batters, as the plunked player gets to proceed to first base and is effortlessly placed in potential scoring position. However, managers and players alike admit that sometimes they intentionally target batters. The study examined 57,293 Major League Baseball games from 1952 through 2009 — roughly 4.5 million matchups between a pitcher and a hitter. Temperature served as a better forecaster of whether or not a player would be beamed if the opposing team’s pitcher had already hit one or more hitters. If the temperatures were resting in the 50s during a game, there was a 22 percent chance a pitcher would hit a batter if a hasty pitch occurred in the first inning of the game. This escalated to 27 percent if the temperatures were in the 90s. The researchers were careful to consider factors that could skew the correlation. They looked at variables such as performance, wild pitches, errors by the other team, the location of the game, and the year the game was played. “It was important to sort out whether heat tends to increase aggressive behavior, such as retribution, or whether it leads pitchers to be less accurate with their pitches,” said Larrick. 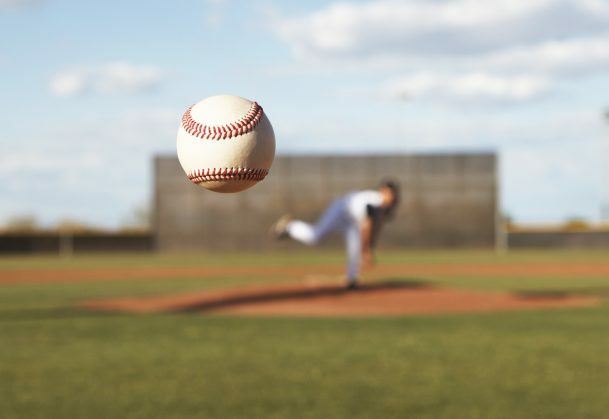 Baseball fans often believe in the “batter for a batter” mentality, however there may be a secret to this commonly accepted retaliation theory. “Nobody seems to be aware that players apply the rule much more at high temperatures than at cool temperatures,” said Larrick. Does this explain why Mexico is so violent and Canadians are so damn friendly? And why hell is a ball a fire rather than a winter wonderland.